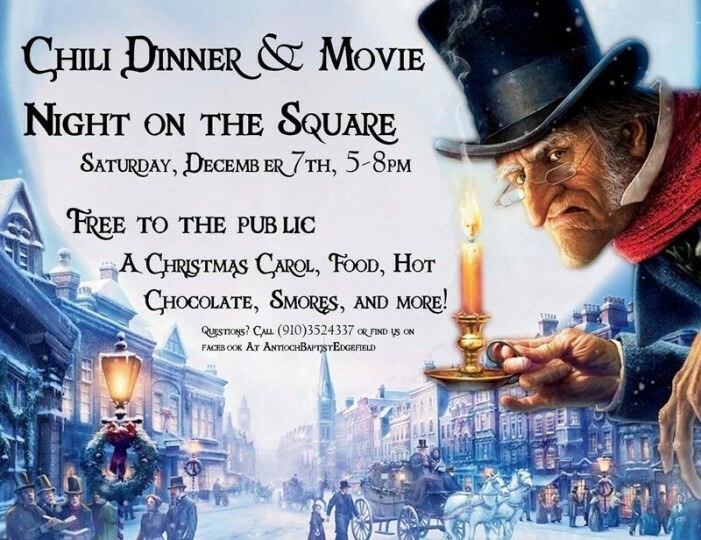 Another fun night in Edgefield this Saturday, December 7, from 5–8pm. 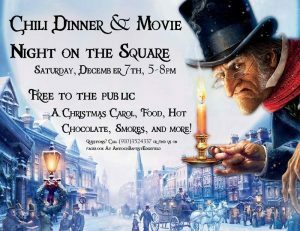 Chili Dinner & Movie Night on the Square. Sponsored by Antioch Baptist Church.